Chiloe Island is the second largest island in Chile, located in the southern Los Lagos region. It is the birthplace of an incredible local tradition - la minga de tiradura de casas – the annual relocation of the inhabitants' houses. Chiloe faces harsh weather conditions and tidal shifts, which occasionally require the properties to be raised and moved literally to a new location. The tradition of moving houses in Chiloe has its roots in pagan mythology, with the beliefs of avoiding the ‘cursed’ land. Minga is a ritual that dates back centuries ago. The term "Minga" means a request for help, with the promise of something in return - a code that local residents follow. Minga is a group effort involving all neighbours. Everybody in the village gets together to perform the difficult task that often takes a few days. 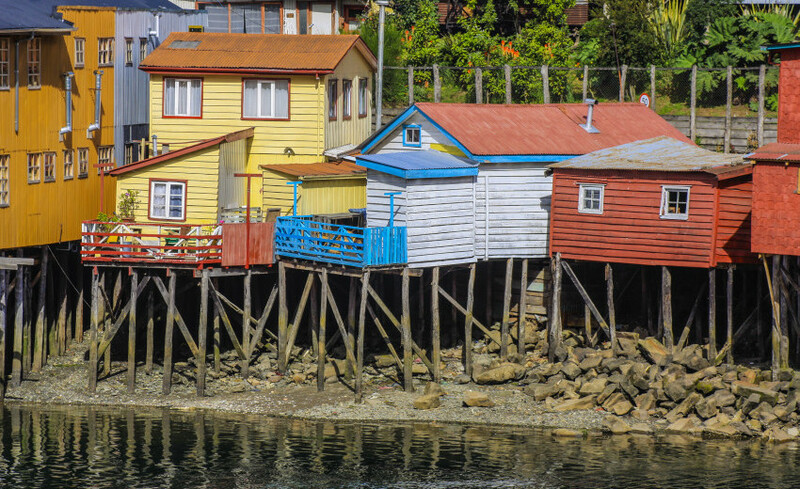 The houses in Chiloe are called “palafitos”, they are made entirely of wood and most of them are built above the water. The preparation for moving such a house takes time, as its foundations have to be cut and removed, then the frame of the house is hoisted onto the trunks of the trees. Then tree trunks are used to create a rolling effect and move the house by land. If the owners, however, want to settle on the other coast of the archipelago, they have to attach the house to a boat and move it by water. During the relocation, the homes are emptied of furniture and the windows are removed. When the minga has finally been completed and all the houses moved, it is time for the feast that takes over the whole island. In recent years the organized show has started to attract tourists. During the celebration, the local inhabitants prepare a local specialty - Curanto, a typical Chiloe dish that consists of meat, vegetables, fish and potatoes. The meal is prepared on hot stones in the ground and then covered with large fern leaves while cooking. Then the meal is served to all the people who have participated in the minga and the house is in its new location.